Solar+ homes takes a holistic approach to reducing energy consumption using technologies available today. Everyone benefits: Utilities increase electricity sales and gain a powerful load-shaping engine, policymakers have a new strategy to meet clean energy goals and homeowners reduce energy costs. The U.S. is moving toward a clean energy future, and tangible progress is being made as we set and accomplish clean energy goals. We can continue on this path by converting existing homes to Solar+ homes. In the U.S., existing homes combined with personal transportation use more than one-third of the energy consumed. Solar+ homes use a holistic approach to reduce consumption by more than three-quarters, and meet the remainder with solar. Solar+ homes have the power to change how people view energy production and consumption. Everyone can benefit from Solar+ homes. Homeowners can realize substantial economic and environmental savings, and improve home comfort. Utilities can guide customers and create load profiles that are low-cost to serve. Policymakers can employ a strategy that uses existing technologies to meet clean energy goals. Solar+ homes are grid-connected and fully powered by solar electricity. Controls are used to match supply and demand by shifting consumption to when solar is producing. The controls focus on car charging, space conditioning and water heating. We demonstrate how to cost-effectively combine simple energy efficiency measures, solar PV, electric vehicles and appliance electrification to become Solar+ homes. Existing homes can become Solar+ homes even if they cannot accommodate solar by taking advantage of community solar programs that are becoming more widely available. The U.S. has curbed energy consumption growth since the 1970s. Energy efficiency measures were implemented through policy changes and utility participation. Solar+ homes represent an important opportunity to continue this trend. We hope that you gain a vision that existing homes can be cost-effectively converted to Solar+ homes as we progress toward a clean energy future. 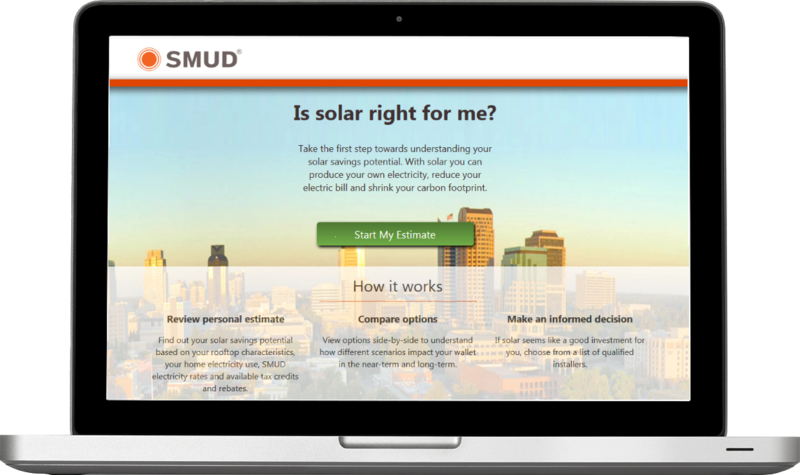 Engage energy consumers with personalized energy information. 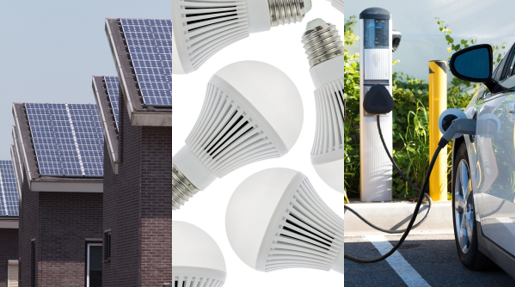 Utilities are uniquely positioned to guide consumers to Solar+ homes energy solutions. WattPlan makes it easy. We're in the early stage of one of the most significant energy transformations in nearly a century. The energy transformation, which is fundamentally technology driven, has substantially expanded the choices available to homeowners, and offers an enormous economic opportunity. Unless homeowners can make sense of the new energy options available to them, however, they cannot take advantage of this transformation. 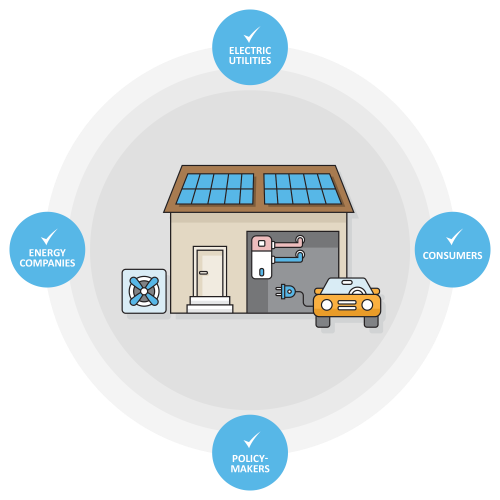 The Solar+ homes concept allows homeowners to follow three easy steps to transform their energy consumption and production. This paper provides a path for homeowners to reduce site energy consumption by 60-80%, and offset the remainder with solar. This allows homeowners to reduce their carbon footprint, achieve significant savings and have more comfortable homes.